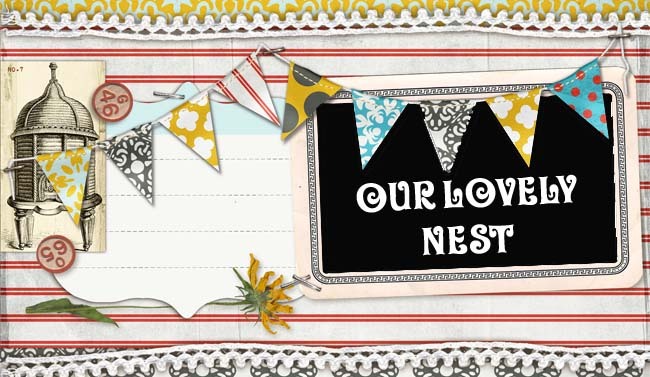 Our Lovely Nest: My mouth is moving... but are words coming out? Grace has settled into the terrible twos very nicely over the last few days. It's rather annoying. Last night it was a 1.5 hour stand off to get her to eat one bite of baked beans, yes, the yummy kind with brown sugar in them...so she could eat the rest of her dinner.... no baked beans.... no dinner. We had to put her in the bath tub to wash off the gross puke and she started to throw a fit. When grace throws a fit, she falls to her knees, rather dramatically, throws her forehead on the ground and her hands out in front of her. She tried this in the bath tub and almost drowned herself... that didn't help the fit, but hopefully she won't do it again. This morning, I wasn't her favorite person either... she wanted daddy to fix her breakfast... "Well, Sugar Bean, your daddy ain't here..." was my reply. It took about an hour and a half to get her to eat the breakfast that mommy had fixed, after bribing her by telling her that she could watch a 'show' while she ate. Then I couldn't get the show right..."No Pooh, No Manny etc..."
"Grace Ann, do you want to go to time out?" "OK, good choice, come here so I can change you please..."
Off to the park with emily, mac, elizabeth and annie... fun outing for both of us. Grace throws tantrums all over the park I practically had to drag her kicking and screaming to go see the water, which she loves...She wanted me to carry her everywhere... that ain't happening...she threw rocks at some kids and spit out a half chewed piece of cheese in my hand... It was a rough day... Luckily my friends put up with us, and I had a pretty good time. I have this uncanny ability to tune out pretty much anything so Grace's tantrums were probably not as ear piercing to me. Luckily there were 5,000 kids at the park, so there was a lot of noise. I liked that last line the!